About Us - Toronto Art Restoration Inc.
Toronto Art Restoration Inc. (TARI) provides the services of restoration and conservation for works of art – paintings, sculptures, murals, works on paper, monuments and architectural arts. We perform services for private clients, the Canadian government, and corporate organizations for some of the most significant international and Canadian heritage artworks and buildings. We seek to preserve artefacts so they may live on to be enjoyed for years to come while restoring, rejuvenating and refreshing the aesthetic beauty of the artwork. TARI (Toronto Art Restoration Inc.) consists of two head conservators – Alicia Coutts-Farrugia and Sjoukje van der Laan working with several other conservators, apprentices, appraisers, art handlers/installers and historians under their guidance. Mrs. Van der Laan, receiving her training in the conservation of post 19th-century artwork, and Mrs. Coutts-Farrugia in artwork and artefacts prior, have an experience spectrum that helps them to tackle the challenges many heritage icons of diverse materials face. Being close friends, they thoroughly enjoy the collaborative problem-solving process, experimenting with materials and techniques, and always aim to think outside of the box. TARI is a member of The Canadian Association for Conservation of Cultural Property, The Architectural Conservancy Ontario, The International Institute for Conservation of Historic and Artistic Works, The American Institute for Conservation of Historic and Artistic Works and The Canadian Association of Personal Property Appraisers. Lawren Harris, Franklin Carmichael, A.J. Casson, A.Y. Jackson, Frederick Varley, Frederick Hagan, Frederick B. Taylor, Maurice Cullen, Allan Ramsay, Pablo Picasso, Andy Warhol, Claes Oldenburg, Jean Arp, Kenneth Lochhead, Brad Copping, Kent Monkman, Ian Wallace, Edward Burtynsky, John Scott, Alexander Calder, Salvador Dalì, Keith Haring, Giacometti, Simon Starling, Robert Irwin, Michael Snow, Anish Kapoor, Max Dean, Richard Serra, David Bierk, David Blackwood, Paul-Emile Borduas, Mary Pratt, Edwina Sandys, Oscar Cahen, Victor Cicansky, Alex Colville, Kim Dorland, Ric Evans, Ivan Eyre, Marc-Aurele Fortin, Graham Gillmore, Gershon Iskowitz, Wanda Koop, James Lahey, Jean-Paul Lemieux, Doris McCarthy, David Milne, Christopher Pratt, Malcolm Rains, William Ronald, Jack Shadbolt, Gordon Smith, Harold Town, Jeff Wall, Elizabeth McIntosh, John Brown, Ron Bloore, Joe Plaskett, Stephen Andrews, Michael Snow, Melissa Doherty, Pierre Dorion, Jack Bush, Jeffrey Spalding, Zubeida Agha, Roy Arden, Kenojuak Ashevak, Norval Morrisseau, Christian Morrisseau, Daphne Odjig, Jean-Baptiste-Camille, Corot, Seymour Allward, Marlene Hilton Moore, Eldon Garnet, General Idea, Michelangelo Pistoletto, Feder and more. 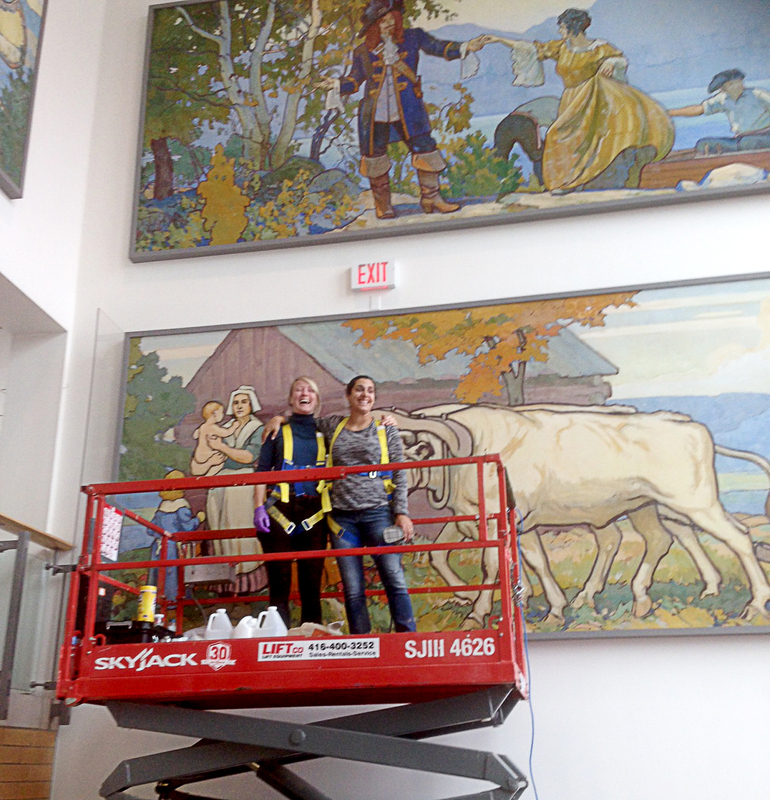 Conservators Sjoukje van der Laan and Alicia Coutts-Farrugia restoring paintings by Frederick Haines (1930) onsite at the Exhibition Place, Toronto. Alicia Coutts has grown her career in art conservation private practice to work for high-profile institutions such as The Government of Ontario Art Collection, The City of Toronto Art Collection, The Ministry of the Attorney General, The RBC Art Collection, The CIBC Art Collection, Archives of Ontario, The Superior Court of Justice and several museums, surrounding Toronto municipalities and corporate entities. She has led her team to restore several fine artworks, historical buildings and public art and monuments throughout Ontario. Early in her career, she gained valuable insight into the world of public art and museums as a conservation and artistic assistant to mural painter, Sol LeWitt at the Art Gallery of Ontario. A graduate of The Ontario College of Art and Design, she furthered her education at the Nova Scotia College of Art and Design where she was awarded a Masters of Fine Arts. Following this, her architectural conservation studies that investigated the transformation of sacred buildings for utilitarian use in post­ WW2 Eastern Europe was published in her book The Lost Synagogues of Poland. She then went on to pursue her postgraduate art conservation studies in Florence, Italy at SACI. There, Alicia studied under restorers from the Opificio delle Pietre Dure – one of the most renowned laboratories in Europe. Thereafter, she was recruited to the studio of Dr. Roberta Lapucci – specialist in the methods, materials and conservation of Caravaggio’s work. 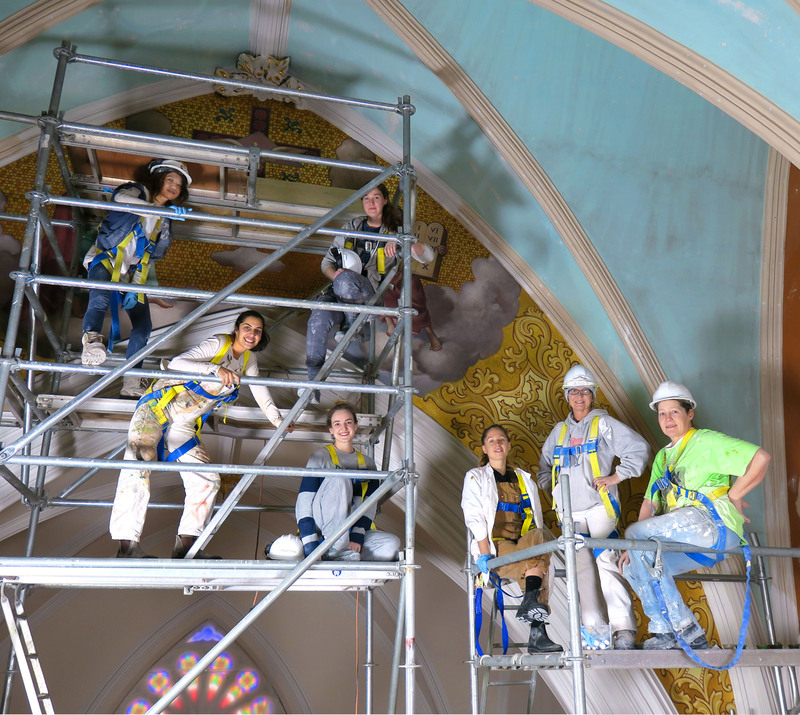 Upon returning from Italy to her hometown of Toronto, Alicia worked for FPDR Ltd. as a conservator of architectural arts restoring several churches throughout Ontario. She simultaneously launched Toronto Art Restoration Inc. for which she began working independently and soon after went on to invite other conservators to collaborate in the company. She has gained hands-on experience restoring hundreds of works of art throughout her career, works as a consultant to several governmental, museum, and corporate agencies, and is a determined advocate for the preservation of cultural heritage in Canada. 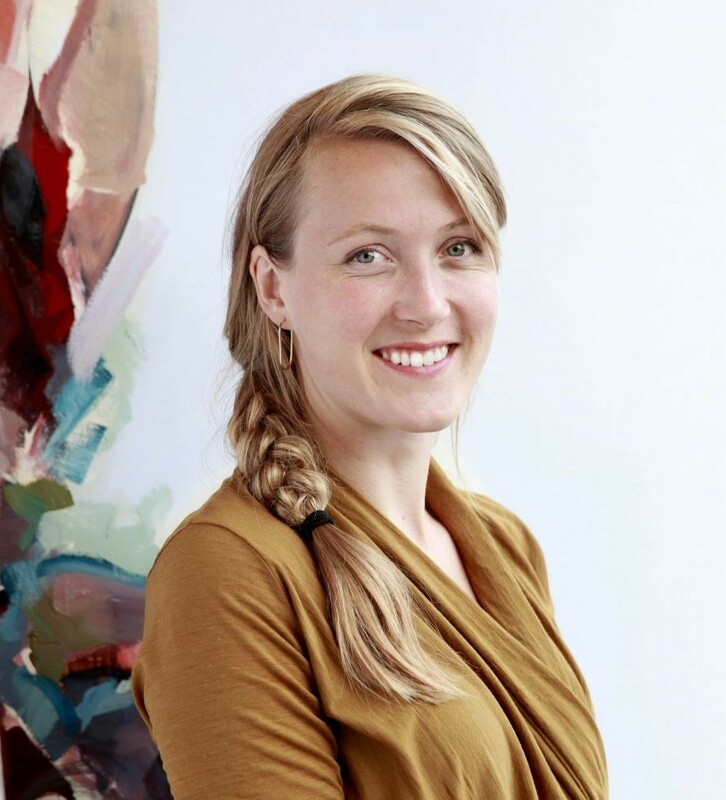 Sjoukje van der Laan holds both a Master degree and a Professional Doctorate in Modern & Contemporary Art Conservation from the University of Amsterdam (Netherlands). In addition, Sjoukje holds a Bachelor’s Degree in Art History from The University of Groningen (Netherlands). Her specialization demands of her a strong familiarity with a multitude of art forms: 2-D and 3-D objects of plastics, textiles, wood, metals, plaster, wax, common and uncommon paints and much more. Furthermore, she has experience in the conservation of outdoor public works of art, time-based media art, and kinetic art. Sjoukje’s talent has taken her around the globe. Before coming to Canada, Sjoukje worked in the conservation studios of S.M.A.K. (Stedelijk Museum voor Actuele Kunst Gent) in Belgium; The Kunstmuseum Luzern Museum in Switzerland; the Hirshhorn Museum & Sculpture Garden at the Smithsonian Institution in Washington; and for the art collection of the Dutch government. Now that she is settled in Toronto, beyond being part of the Toronto Art Restoration Inc. team, she is a contract conservator at The Art Gallery of Ontario. 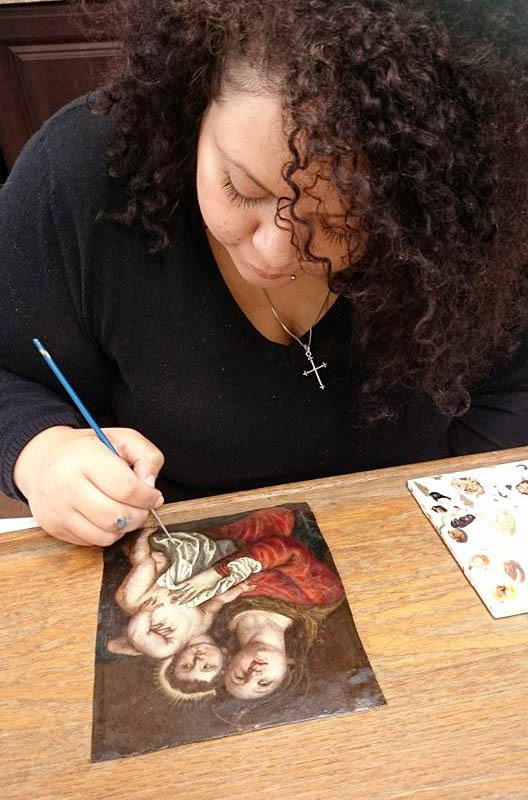 Painting conservator, Vanessa Lemieux-A S completed her Italian training in the Florentine Methods of art restoration and conservation at the Istituto per l’Arte e il Restauro – Palazzo Spinelli. 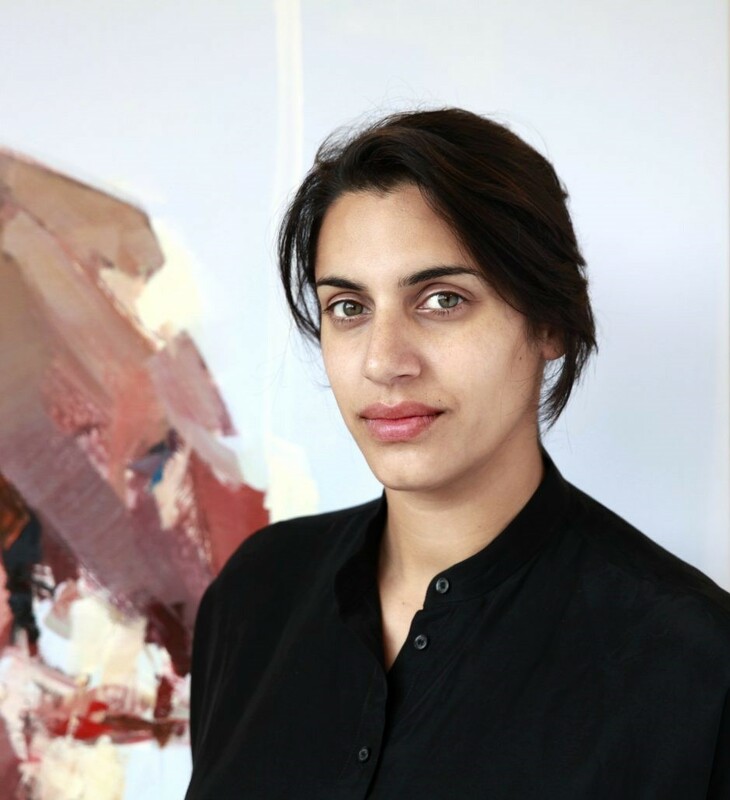 Before pursuing art conservation she completed her Canadian degrees in Visual Arts from Collège Rosemont, and Art History from Université du Québec à Montréal. During her years in Italy, Vanessa specialized in the conservation of in-situ heritage arts (onsite murals, sculptures and architectural arts). Some of her most significant work includes the cleaning and structural repairs of numerous pieces at the Franciscan Sanctuary of La Verna. Most notably restored amongst the artworks was a pieces by the Florentine Barocco artist, Pier Dandini. Other significant sites of Vanessa’s restorative work include The Ospedale Santa Maria Nuova, The Fondazione Conservatori Riuniti di Siena, The monastery of Badia Fiesolana, The Villa del Poggio Imperiale, The Church of San Francesco di Assisi and The Cathedral of Fiesole (Arcidiocesi di Fiesole), where she restored a painting from the Florentine Barocco artist, Francesco Curradi. Once returning to Canada, Vanessa set up her private practice conservation studio in Montreal. 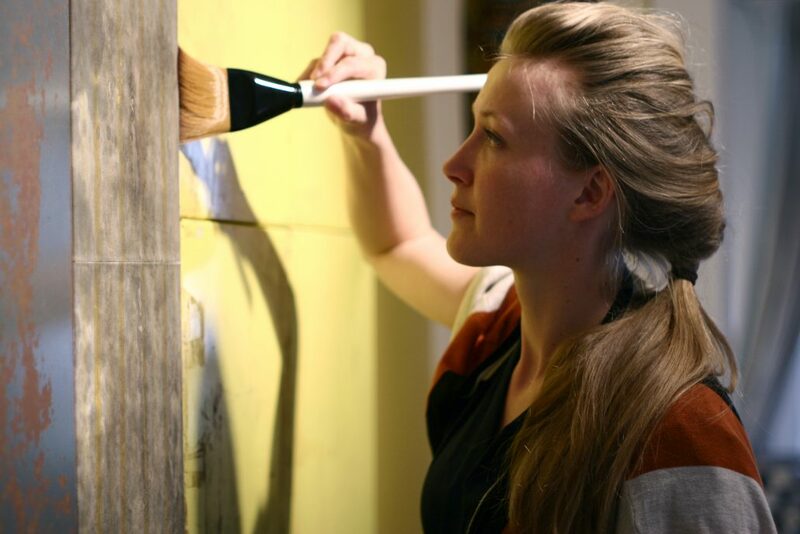 Her experience has allowed her to master restorative techniques for a variety of paintings on canvases, wood panels, and metal. Vanessa is now a great asset to Toronto Art Restoration Inc. as an in-studio conservator as well her lead role for on-site projects. Her efforts restoring the Stations of the Cross in Toronto Roncesvalles’ St-Vincent-de-Paul church is a great example of her skills. Benjamin Oakley has been working as a professional art installer and museum technician in Toronto for over 15 years. He is a passionate visual artist who has developed plans and constructed major exhibitions at The Art Gallery of Ontario, The Gardiner Museum, The Textile Museum, The Power Plant as well as other public and private collections. Oakley has installed artwork for many renowned international artists such as Julian Schnabel, Joni Mitchell, Brian Jungen and Michael Snow. He has also held a major role in the successful installation of large-scale exhibitions such as David Bowie: Is, Picasso: Masterpieces from the Musee National Picasso, Ai Weiwei: According to What and countless others. Oakley’s extensive art handling experience, knowledge, and personal communication skills has helped him gain the trust of many international artists. He has been appointed to fabricate, install and travel with their artwork as an additional safety procedure for traveling exhibitions. In addition to the fabrication and installation of artwork, Oakley builds high-end custom conservation crates for transportation and storage as well as museum quality vitrine. Aside from his position as The Head Installation, Packaging and Transportation Specialist at Toronto Art Restoration Inc., Oakley holds a lead installation technician position at the Art Gallery of Ontario. Josh Dales is a highly trained frame conservator specialising in 16th-20th-century European picture frames. He gained his art conservation and frame restoration training in England, where he has worked in some of the most high-profile art institutions and collections in the country. After honing his gilding and restoration skills from a young age in his family business, Colin Dales Fine Art Restoration, he gained his degree in Art Conservation at the City & Guilds of London Art School. Becuase of his exceptional talent he has gone on to hold long term positions at such establishments as The Royal Collection Trust at Buckingham Palace, Westminster Abbey, and The Victoria and Albert Museum. Joseph Farrugia completed a Bachelor of Fine Arts degree a NSCAD University, and has also attended the University of Havana and the University of Canterbury. Further more, he has been certified by the CPPAG (Canadian Personal Property Appraisal Group). As an scholar, teacher, artist and activist, Joseph has contribute numerous fine art historical research studies – traveling to over 50 countries around the world, fully immersing himself within the cultural heritage for extended periods of time. His papers have a unique capacity to build bridges between cultural divides, and create intimate, human connections, between the subject and the reader. These fully engaged studies are vital to his process when uncovering the history, authenticity and provenance of artworks. 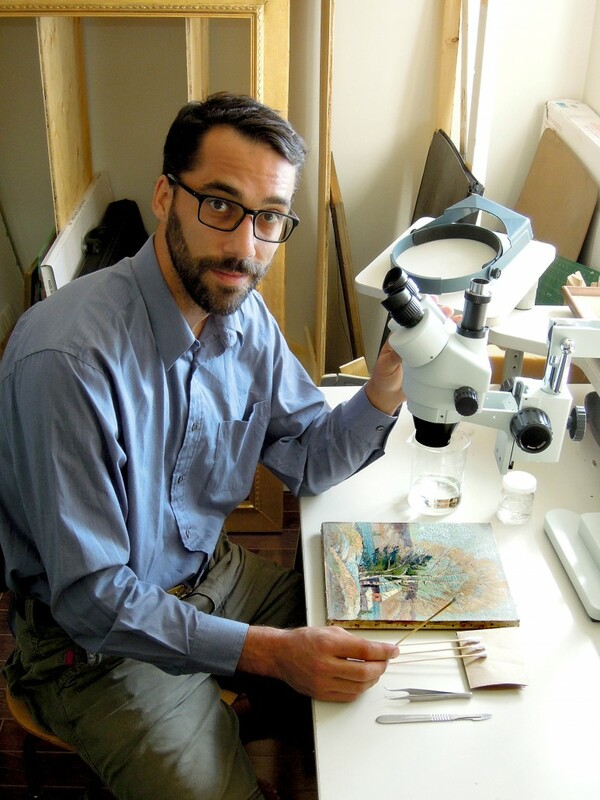 Toronto Art Restoration Inc. is fortunate for Joseph’s passionate research contributions on every project entering the studio, working closely with conservators uncovering mysteries that lay hidden. Furthermore, Joseph works with Toronto Art Restoration Inc. clients to find, place value and establish cultural frameworks for art, to ultimately place them in the appropriate location for exhibition, publicity and sale. In recent years, Joseph has mainly concentrated his energy connecting the Canadian, American and the Chinese art markets. Most significant was his collection and presentation of several Western Old Masters paintings in the Art Beijing exhibition. Toronto Art Restoration Inc. Mural Conservators work with Heritage Plaster Conservators from Iconoplast to restore church.